Posted on April 23, 2013 at 10:03 pm. On the weekend, we had a bunch of people come to the nursery to buy a few plants for their gardens – some wanted sasanquas for hedges or screens, some just wanted a couple for the garden, and some wanted to add to their camellia collection. We enjoy meeting new people and welcoming back returning customers and taking folk about our garden and showing them what you can achieve with a garden of camellias. One of our customers came with a list and asked for a particular variety. We selected a nice plant – but when we put on the commercial plant label, the customer said that no she wouldn’t have that one because she didn’t like the flower on the label. And that is one on the difficulties selecting plants based on the picture on the label. 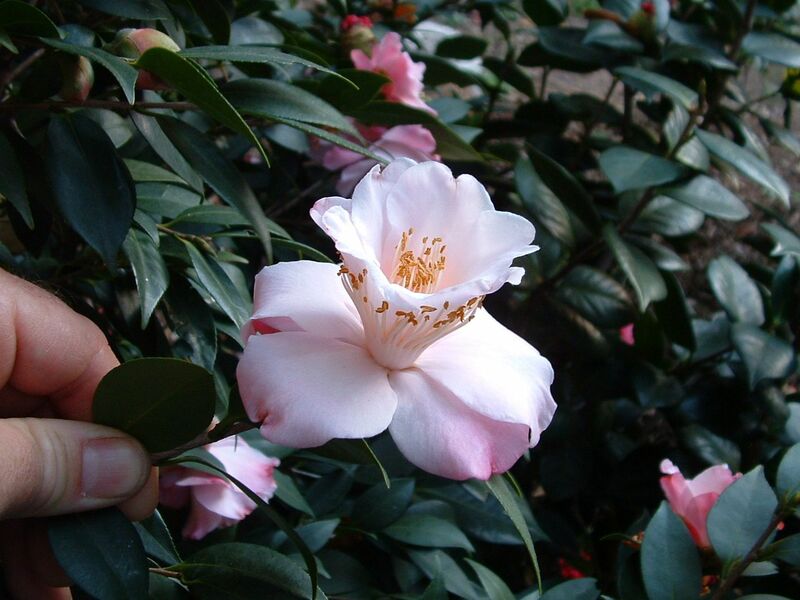 Whereas label manufacturers use a photo of a sample of that variety, flowers often are variable in form depending on climate, weather and even the time of the season – that is whether it is early in the camellia flowering season, mid or late. were taken by me, at different times, of flowers on the one plant that we have of this variety. Now, there is no prize for seeing why the first flower is called Christmas Daffodil with the little hose in hose flutes – remembering that this will be flowering in winter in the the USA – Christmas. 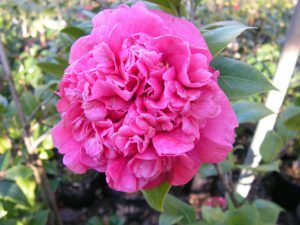 It is a beautiful flower. But the second photo is also Christmas Daffodil – and it is a simple single flower with no flutes at all – and still beautiful. The plant decides how it will flower depending on conditions at the time. Both these flowers are Christmas Daffodil but are very different. So when selecting a plant, be conscious of the fact that the plant will flower the way it wants to depending on the conditions – be patient and you will get to enjoy all the flower forms on these special plants. Have a look at your camellias – particularly the japonicas and hybrids – and see if you have different forms of flower on your plants – the chances are that you have. 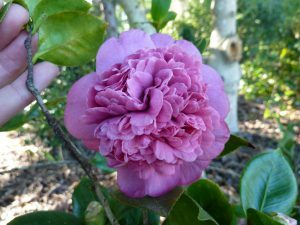 Another interesting cultivar is the camellia with the longest name – Dona Herzilia de Freitas Magalhaes – loved for the strong mauve colour that is shown in most camellia publications. 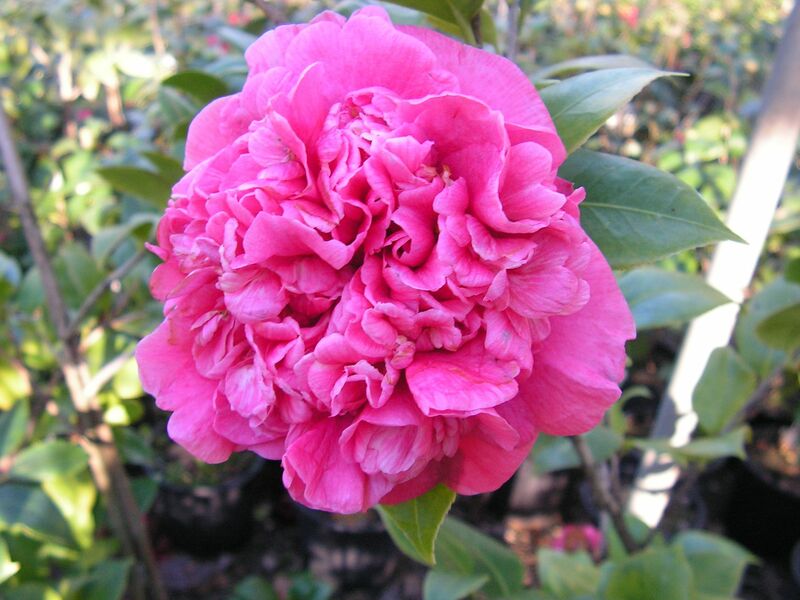 This cultivar will flower this magic colour in the right conditions – clay or shale soils and a good amount of cold. In a pot, it will flower a nice pink – deep pink – anemone form flower. But it needs the nutrient from the soil to get that purple colour going. 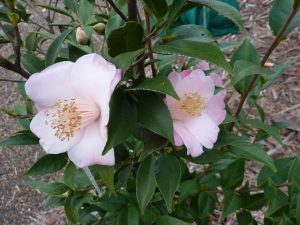 The plant will need time to get its roots into the surrounding soil in order for it to start sucking up the appropriate nutrients, so again, be patient – it might take a couple of seasons. Our plant this year is starting to purple up – after about 5 years. See the different flowers. 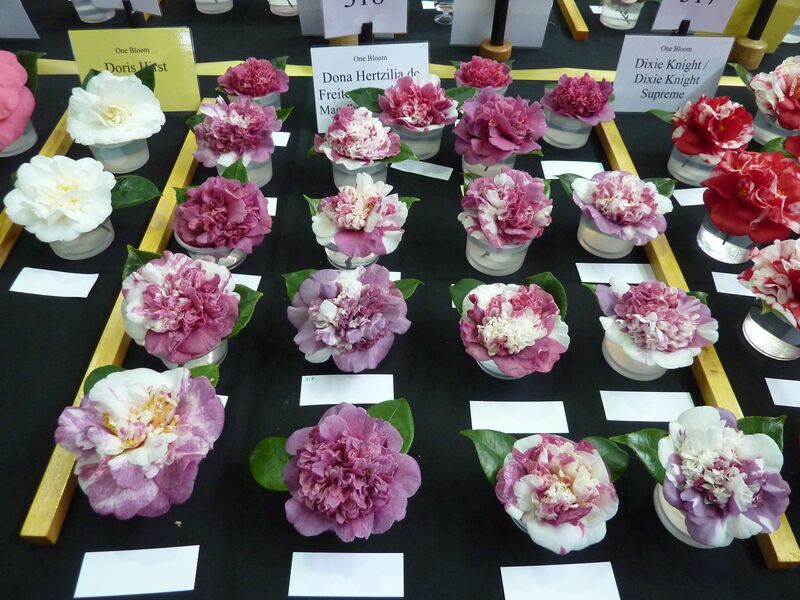 And this one shows some of the blooms on the competition bench at the Illawarra Camellia Society Show last July – it shows a few all purple Donas as well as a number of variegated forms. These are showing a much stronger colour than we have achieved so far – but we are getting there…..
Nursery is open again this weekend – 8.00 am to 3.00 pm Saturday and Sunday. Happy to. Please send a private email direct to sales@camelliaglen.com with details including when you plan to collect, or if you want mail order, please supply full name and address for mailing purposes. We can also do payment arrangements..
What are the cost of each below? I prefer the largest blooms available of each. Will each grow into an actual tree or just a bush? Do you ship to Georgia, USA? Thank you! We do not ship. You should try to locate these in Georgia. Suggest you read some of the ‘culture notes’ on our website …. or another. These will answer some of your questions. The flower colour on Dona Hertzillia depends on soil…they are not different varieties. Flower size is indicated in our website flower descriptions.